The Pastime Pajama set is perfect for lounging and sleeping and works throughout pregnancy and right into the breastfeeding stage. This set is ideal for the hospital bag and is a great gift for a mom to be who is more of the sporty type. 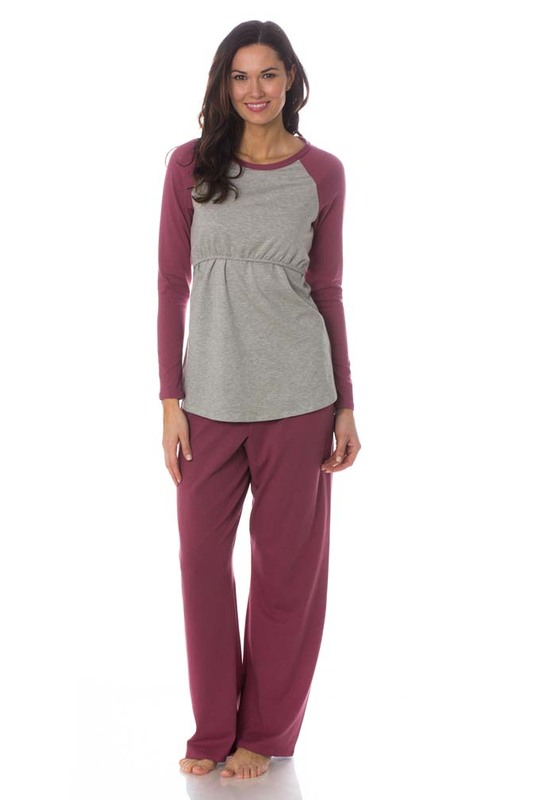 Comfortable modal knit fabric with pull-up breastfeeding access. Choose a solid combination with both pieces in a soft knit modal or choose a solid/print combo with the top in a soft knit modal and the pant in a silky feeling fabric.